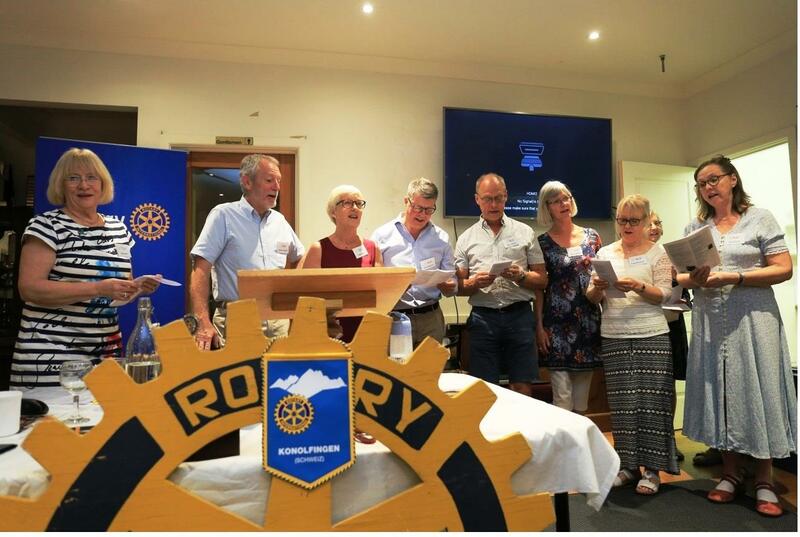 Chairperson Sandra Hanley, introduced the Swedish RFE members from the (midnight district) as they refer to themselves, being from District 2400. Various members talked about areas where they reside, places of interest and historical buildings. They were wondering how they would withstand our hot Summer weather, then thought, perhaps we might think the same of their harsh minus temperatures that they experience. They sang a selection of Swedish songs, and surprised us all by singing Waltzing Matilda. All joined in on the night, and it sounded fabulous. They thanked Ian and Julie for organising their visit, their hosts and all who had so warmly welcomed them to our club, town and district. There was an exchange of several banners from the clubs that they represented. A great night was had by all.